When I acquired my BMW 1995 E34 M5, it was in a distressed state. Still, with a strong mechanical maintenance history, it was no surprise that the car fired right up and key components such as the A/C worked without issue. Though known for a rough idle, the rich exhaust smell combined with an overly rough idle was and indication that this car had intake system issues. One simple smoke test proved that hypothesis. This M5 was going to need a complete overhaul of the intake system. As this subsection diagram indicates (see for full diagram and part numbers), the S38’s throttle housing assembly is complicated. 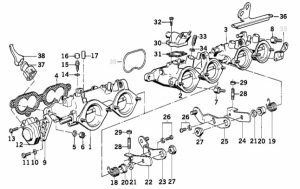 The system features six independent throttle bodies that are tied together by a series of pipes and bolts whom all have a complexity of washers, o-rings, and gaskets that make it an air tight mechanical entity. 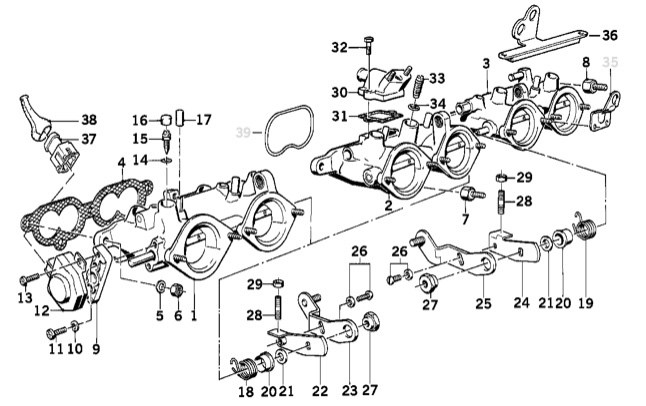 Moreover, this assembly is the center connection point for a variety of vacuum hoses and other intake components that bring the E34 M5’s 3.6 liter engine to life. Overhauling an E34’s intake system is not something that should be taken lightly. Also, you should keep in mind that a good number of the parts are NLA. 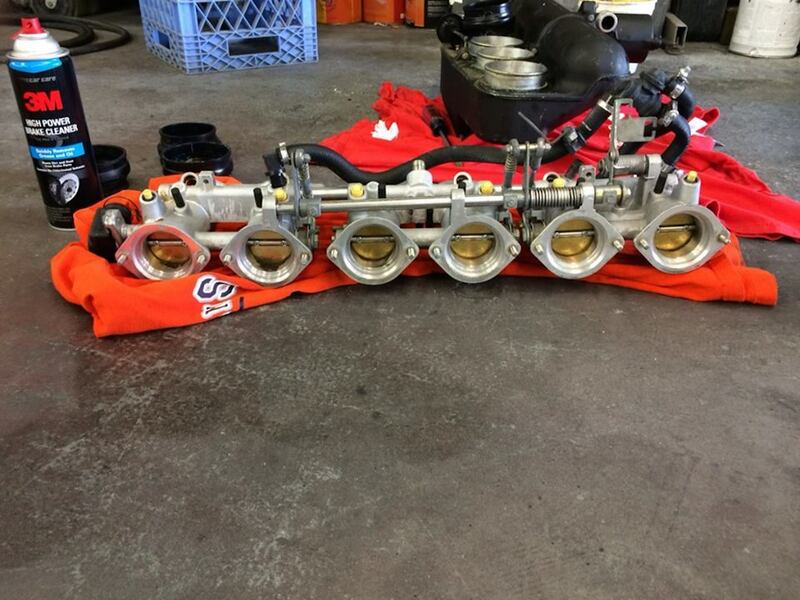 Last, once you’ve rebuilt the system and replaced all vacuum hoses, you still need to balance the throttle bodies. 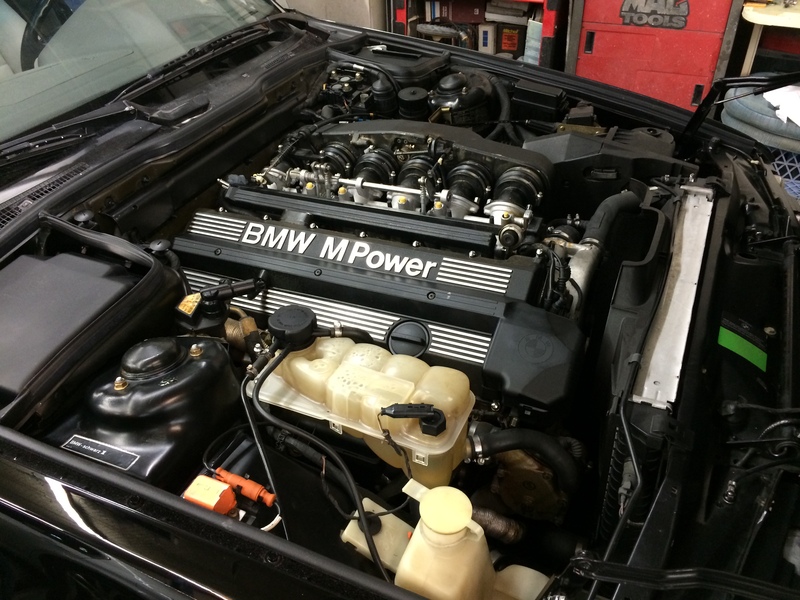 If I haven’t scared you away yet, this article by Jason Weaver entitled “Intake Resonance System Overhaul for the 1991-1993 E34 M5” is a great resource. Also note that when you re-connect everything, the air intake system connects via six rubber connectors. If they have any age to them, they’ll be brittle and will break. These can still be purchased via BMW. Though fascinated by the mechanics intake systems, I let a very qualified mechanic perform this rebuild for me. The pre-installed result is like a work of art.